A Kotobukiya Japanese import! Neon Genesis Evangelion continues to be one of the most enduring anime franchises in history, with some of the most beloved characters of all time. 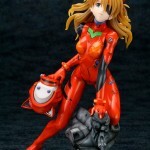 Returning to Ani Statue form is the Second Child and pilot of Evangelion Units 02 and 03 in the Rebuild of Evangelion films, Asuka Langley Shikinami: Q Plug Suit Ver! 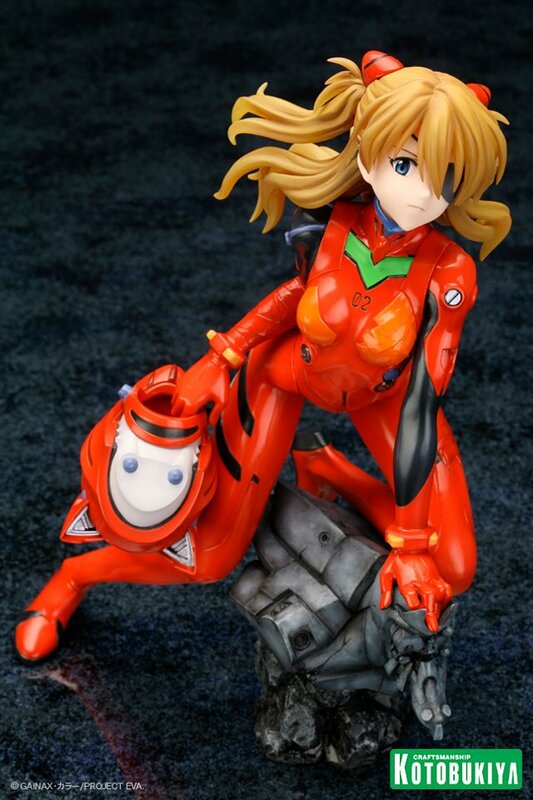 The excitable and outspoken young woman shows her determination to carry on, kneeling on a rocky miniature sculpture of Eva-02. Holding herself up with her left hand she carries her helmet in her right as she looks up, revealing an eye patch over her left eye and a focused look in her right. She wears her signature bright red and orange plug suit from the Rebuild films, with incredible attention to detail in the sculpted components, wrinkles, and seams. Asuka’s hair flows outward behind her, adding to the motion and emotion captured in this inspiring presentation. 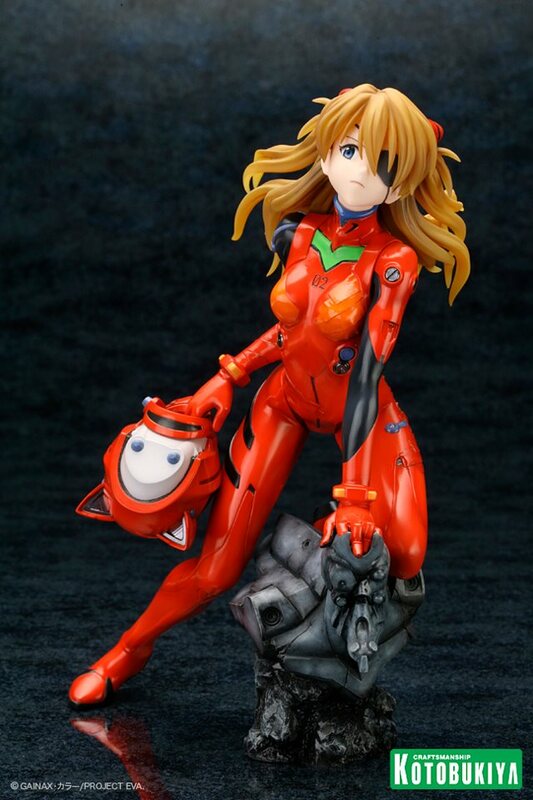 Sculpted by Tsukuru Shirahige, Asuka is just over 8 Â½ inches tall (1/6th scale), as she kneels on the sculpture. She has a powerful presence and will look great displayed alone or alongside other Evangelion Plug Suit statues from Kotobukiya! Eye patch Asuka looks so bada**... I didn't know she has a new helmet too... kinda looks like Lelouch's helmet, except with cat ears.